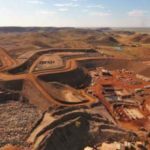 Mineral Resources has declared its farm-in and joint venture (JV) agreement with Hong Kong-based Brockman Mining for the Marillana iron ore project in the Pilbara, Western Australia, unconditional. 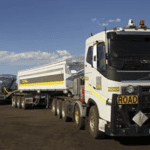 The farm-in period has commenced following the fulfilment of a logistics arrangement to transport the Marillana iron ore product via a light-rail system from the mine site to Port Hedland. 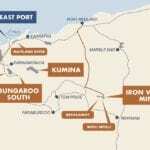 Mineral Resources will strike a state agreement with the Western Australian Government to procure all the leases and licenses for the light rail system and port infrastructure within inner Port Hedland harbour. The company is also required to obtain project finance to fund the construction and commissioning of the rail and port infrastructure and a final investment decision from the board of Mineral Resources. The construction, commissioning and operation of the rail, rollingstock and port infrastructure will be managed by Mineral Resources. It will transport up to 30 million tonnes of iron ore per year for the entire life of Marillana. Mineral Resources must now spend $250,000 on exploration and development activities on Marillana to acquire a 50 per cent interest in the project within six months. In the same timeframe, Mineral Resources is obliged to complete the process design criteria for the Marillana processing plants, optimise its mine plan study and finalise its mine development layout plan. Brockman chairman Kwai Sze Hoi said in July last year that the JV had delivered all of the elements needed for the successful development of the Marillana orebody, including MinRes’s Pilbara project development capability and expertise.